SEAS endeavours to bring business opportunities to its membership through partnerships and engagement with regional and global associations, multilateral organisations as well as government agencies. By offering advice on grants, market conditions and policies , SEAS can help in the development of sustainable energy technologies and provide support for testbeds and showcase innovations in Singapore. 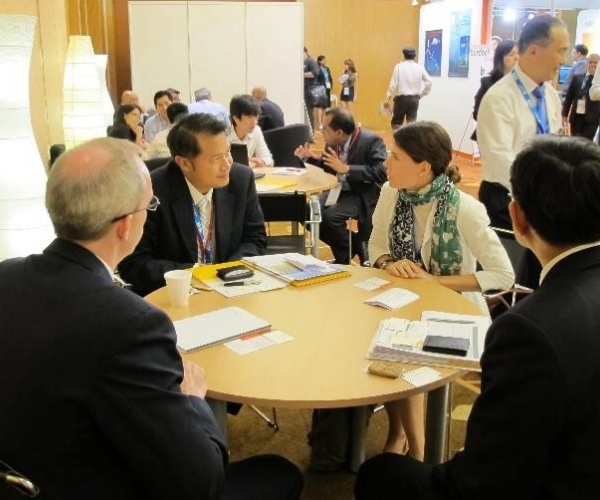 In addition, SEAS has a strong focus on assisting companies to identify and forge partnerships that can help you leverage the knowledge of local experts in Singapore, and across the region. The SEAS Enterprise Development programme has also been set up to assist Singapore based companies, in particular SME's, with advisory services, project development and the commercialisation of new technologies. SEAS works closely with government bodies like SPRING & IE to organise Trade Missions and Business Mission & share Business Intelligence reports & white papers to develop markets for members. Our MOU with Jurong Town Corporation(JTC) helps our members to have access to buildings to testbed new technologies and innovations.